Despite being aware of her elder daughter’s movements and actions through her Shadows network, the queen still sees fit to let Malty run wild—and run she does, setting a massive goddamn wildfire and informing all the local lords that the “Devil of the Shield” is responsible. I’m not sure what the queen’s game is, but she seems content to wait for Naofumi to come to her. The fire blocks him from Siltvelt, so they head the other direction. 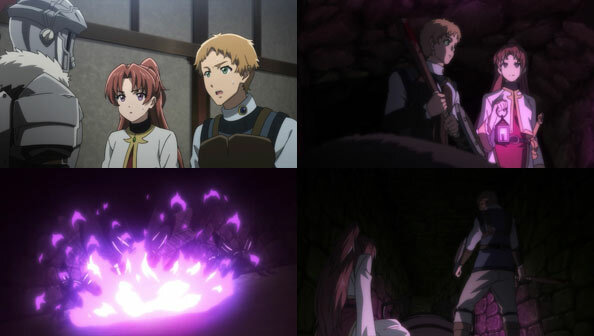 That takes them to the domain of Seyaette once ruled by a lord who was sympathetic to the plight of the demi-humans (as well as Raphtalia’s homeland). That lord was killed in the First Wave, and his efforts went to waste. 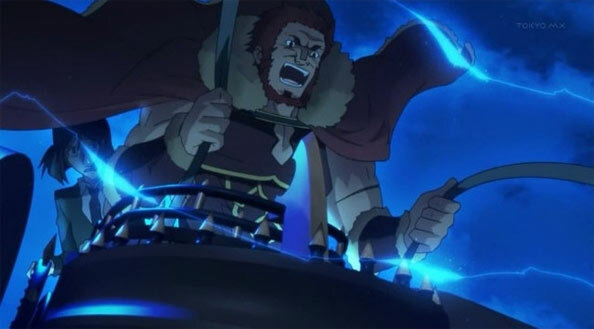 Indeed, Raphtalia and her family and friends were all victims of the resulting oppression and enslavement of demis under the orders of…Melty’s dad, the king. 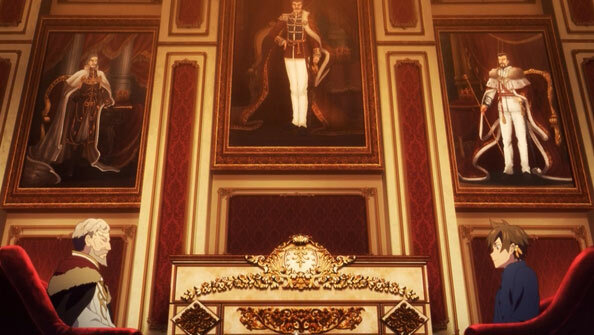 Again, presumably the Queen was fine with all of this…I guess? The new lord of the domain, Van Reichnott, is thankfully a friend of Melty’s, and invites them to his mansion where he agrees to harbor them. 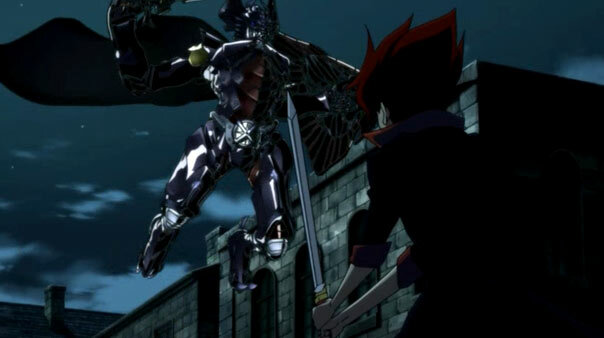 Naofumi warns that they can’t stay more than a night lest they get sniffed out by those loyal to Malty and the king. So they have one night of tasty meals and soft beds, taking turns keeping watch. 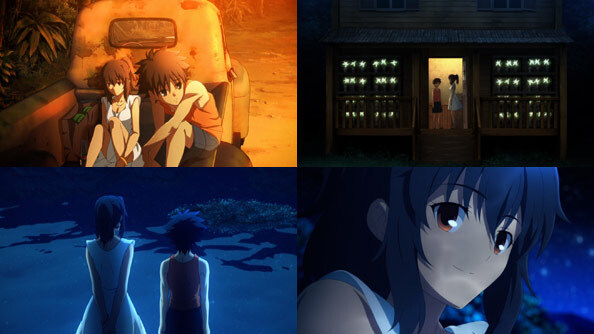 Melty thinks she should be doing something, anything other than continuing to run and hide, but Naofumi tells her her life and safety must come before any of that, and in time she’ll do what must be done; what only she can do. 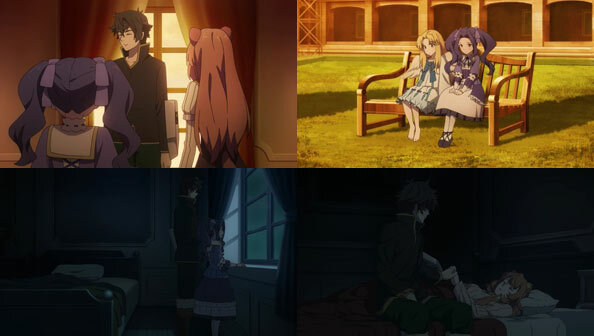 Naofumi also tries to comfort Raphtalia, who is suddenly having the nightmares she suffered when she was small. Being so close to her home where she witnessed and endured so much is affecting her on both a psychological and a visceral level. 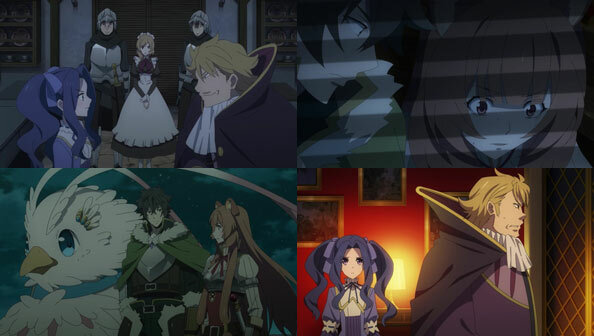 As Naofumi feared, they are found out the next morning, as a neighboring lord, Idol Rabier, accuses and arrests Reichnott for harboring the “Devil.” Naofumi hides with Raphtalia (who has an itchy sword hand at the sight of Idol) as Melty says what needs to be said to get rid of Idol and enable Naofumi, Raph and Filo to escape. 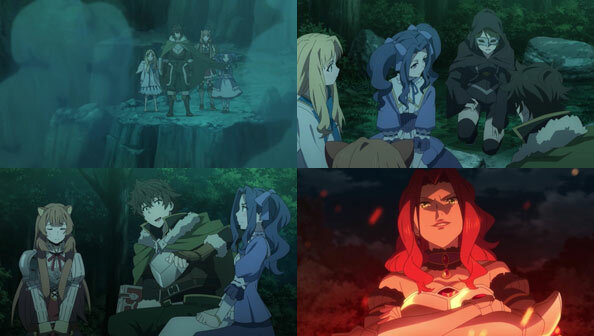 They do so, but while Melty believes her name and title will protect her from Idol and that he’ll safely deliver her to father for a proper dialogue, her determination to clear the Shield Hero’s good name probably strikes the wrong tone with a lord who is a member of the church that considers Naofumi the Devil himself. Naofumi wavers at the opportunity to get away thanks to Melty’s gambit, abandoning her in the process…but only for a brief moment. 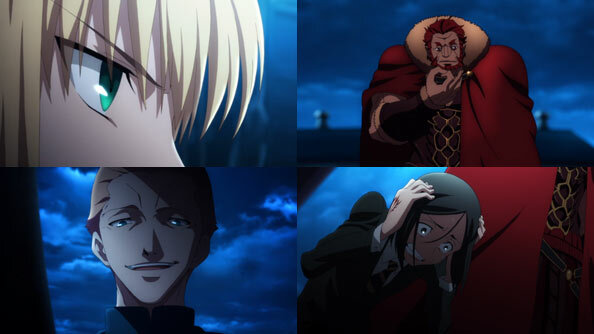 At the end of the day, bad rep or not he can’t call himself a hero (not to mention look Raph or Filo in the eye) if he left Melty to mercy of that lord. So the trio infiltrates his castle start methodically taking out his guards. 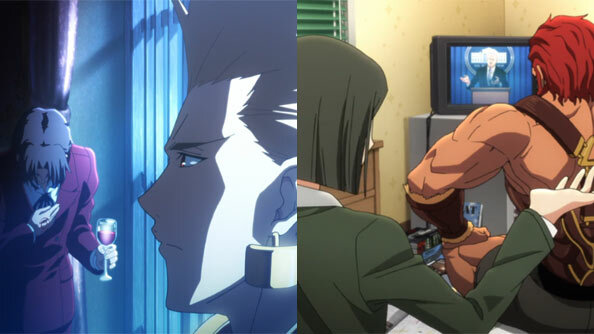 They arrive in the nick of time, as Idol has tired of Melty’s refusal to disclose where Naofumi is and declares her to be in league with the Devil, which makes her fair game to torture and worse, even taking a nasty pleasure in threatening her and “making her face warp.” This dude and Malty truly deserve one another. 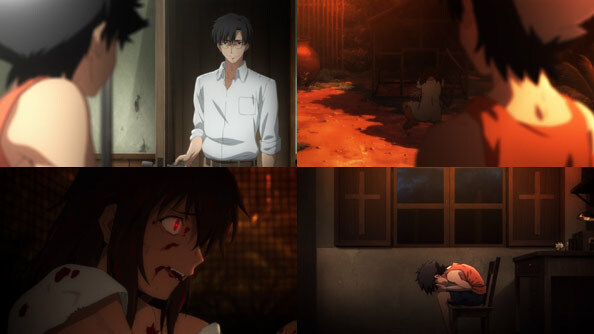 But Melty is rescued, and despite her “plans” being “ruined”, she still thanks Naofumi for coming for her. Naofumi then leaves Lord Idol to Raphtalia to do with as she pleases. He has a lot of demi-human blood on his hands. We’ll see if she gives in to her rage and takes revenge (for which she’d be entirely justified), or if she stays her hand out of a desire not to go down that road. 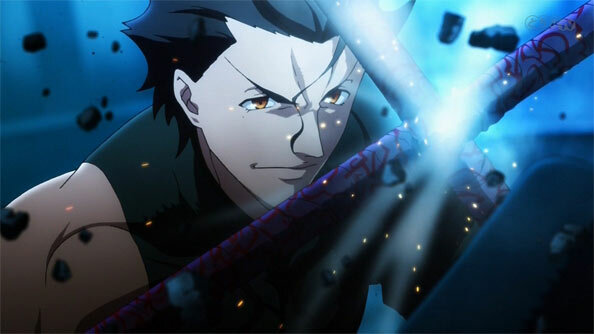 Like Naofumi with his Rage Shield, there are places you can’t come back from. 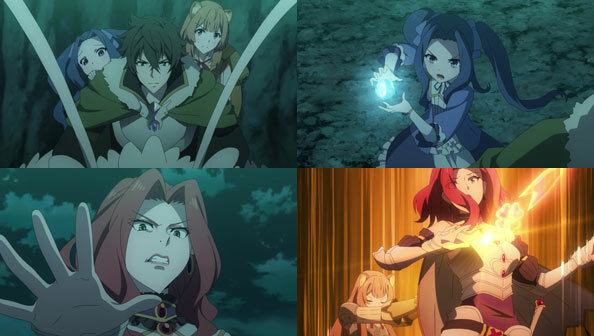 When one of Melty’s escorts suddenly rushes her, Naofumi acts instinctively and blocks his strike, but then the knights all suddenly adopt the notion that the Shield Hero has kidnapped the Second Princess, and they attack him in order to “rescue” her. 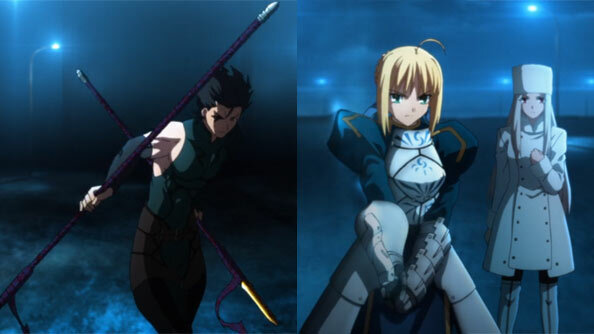 Naofumi shields Melty while Raphtalia and Filo deal (non-lethal) blows to the other knights, but two of them aren’t fighting; they’re recording. 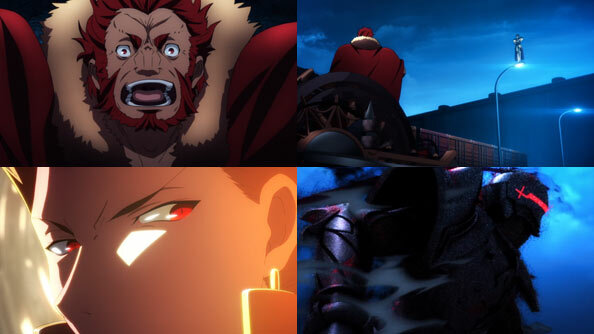 They magically alter that recording to make it look like the “Devil of the Shield’s” vicious slaves are massacring the knights, then present that fake footage all across the lands, making it much harder for Naofumi’s party to move about freely, keeping his reputation in the shitter (even after all the people he’s saved), and preventing him from acquiring the means to level up past 40. It’s a dastardly plot that has Malty written all over it. 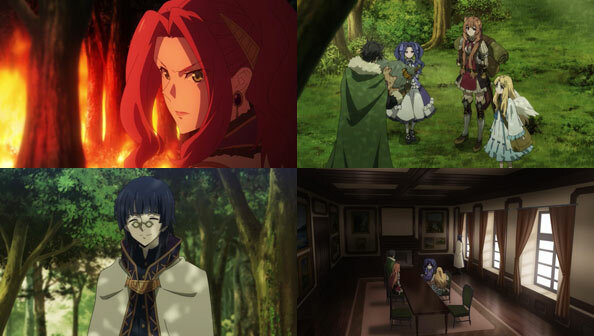 While Naofumi considers the king to be involved as well, Melty vouches for her father, in whom she doesn’t want to lose hope of reconciling with the Shield Hero. 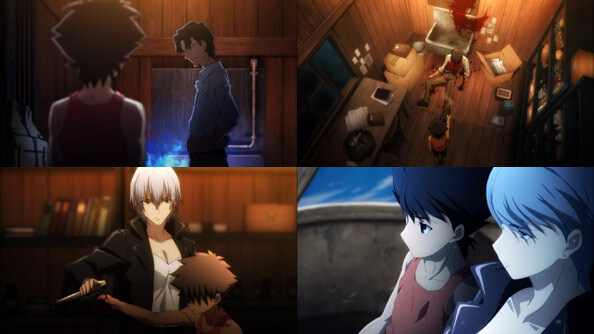 When Naofumi decides his party will leave the country and head to Siltvelt, Melty offers to return home, but Naofumi, knowing Malty, warns her that will only get her killed. So Melty joins the party, not as a hostage, but a willing companion. 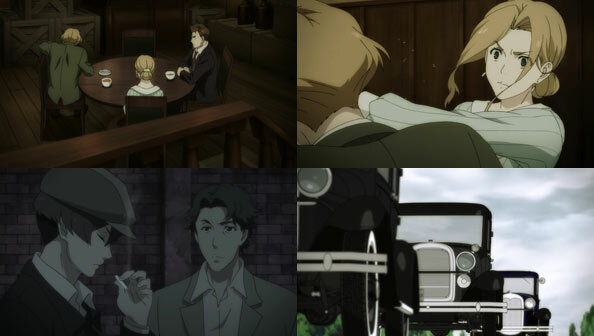 She learns what her father had done to Naofumi to make him hate him so, while Naofumi learns that Melromarc is a matrilineal monarchy, which means her mother the Queen is higher in rank than the King. Those small moments of exposition aside, a good chunk of the episode is comprised of lovely sprawling vistas that dwarf the party as they trudge onward, all while Kevin Penkin’s lush, sublime score washes over it all. But they’re not alone out there in the wilderness: they’re being followed…and pursued. 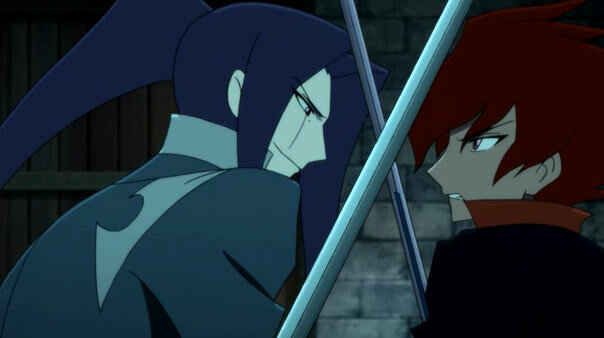 But all of that progress is lost when Malty makes the supremely insidious suggestion that Naofumi has in his possession a shield that brainwashes anyone he talks to. That means not only Melty can’t be taken at her word, but Raphtalia (and more importantly for Motoyasu, Filo) are brainwashed too. Ren still has his doubts, but gives in to the inertia or Malty’s incessant scheming. 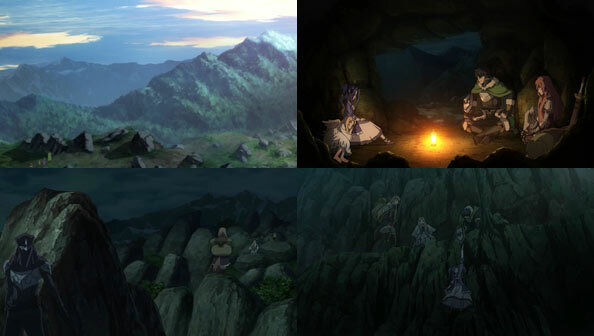 Naofumi decides retreat to be the best option, and he, Raphtalia and Melty jump onto Filo and start to fly away, but Filo is brought down and her strength sealed by a magical bangle prepared by the alchemists for Motoyasu to capture her. 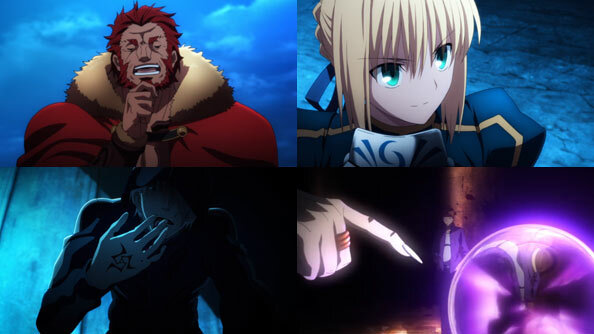 Melty finally whips out her own (water-based) magic in an attempt to get Filo freed, but Malty fires back with fire, ignoring Ren’s suggestion she maybe stop attacking the Crown Princess? Malty dispenses with any pretense and unilaterally states that if Melty is brainwashed, she must die. Alright, then! 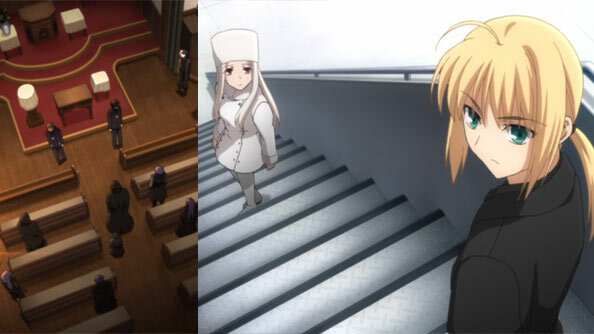 I have to say, if Melty was chosen over her to be Crown Princess, you’d think the King and Queen would have done more to limit her powers and freedom of movement, because she has single-handedly really gummed up the works. 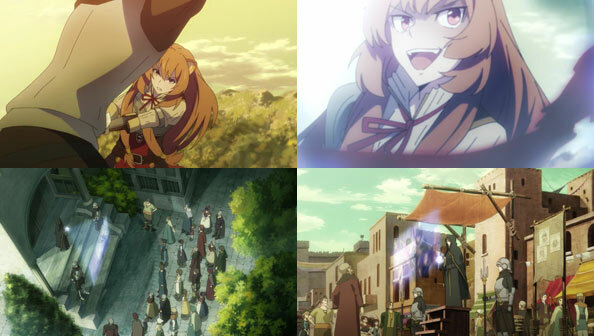 Raphtalia manages to deliver some revenge when she slips in from behind stabs her with the magic sword she was gifted. 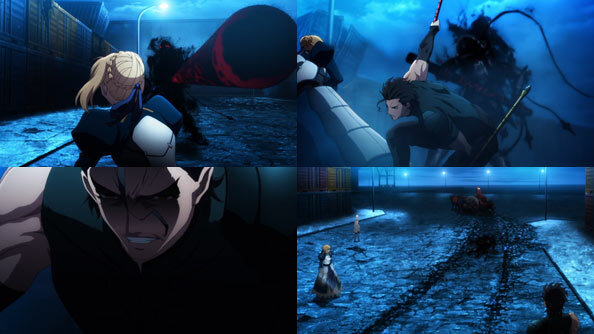 Filo regains her strength (and then some) with the gloves she got as a gift as well, while Naofumi splits the rock formations with his Rage Shield, leaving Ren, Malty, Motoyasu and Itsuki on one side, unable to pursue for now. They flee into the woods, where they’re approached by one of the Queen’s Shadows. The Queen summons Naofumi to her location at once, which just happens to be in the opposite direction of their original destination of Siltvelt. It also means backtracking to where they left Malty and the heroes. With Malty burning through the forest, it’s clear that she’s not going to give up hunting for Naofumi or her sister that easily. Who knows if anyone will be able to rein her in now, as she’s really turned the villainy up to 11. As for Melty, she considers herself an official member of the party, and demands that Naofumi call her by her first name from now on, irking Raphtalia. There was some great action, adventure, and above all music this week, but man alive does that First Princess steam my beans! My frustration might have knocked this down to an 8 if there wasn’t still hope she’ll get her just righteous comeuppance at some point. 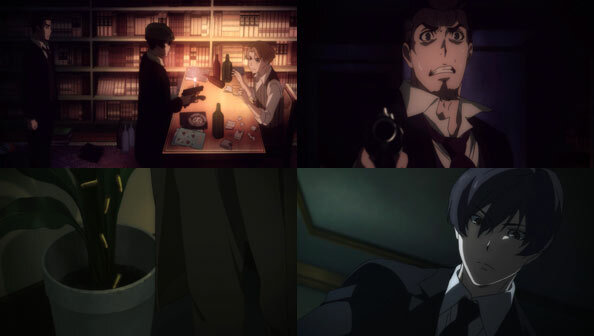 One minute Kirito is pushing Asuna away from the injector in a lunging Johnny Black’s hand, the next, he’s waking up in what he soon surmises to be the Underworld, neither the real world or a game, but a virtual world. 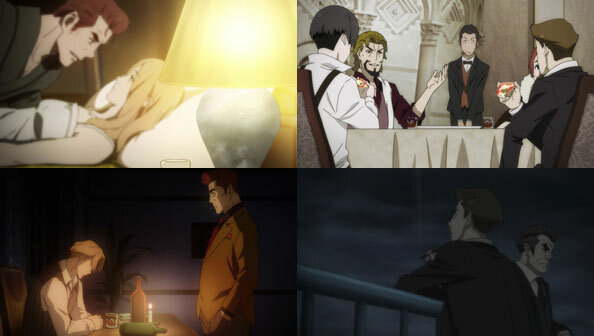 After the dense, somewhat whiplash-inducing first episode, it’s nice to have a simpler, more elemental outing, in which the protagonist is just as much in the dark as we are. 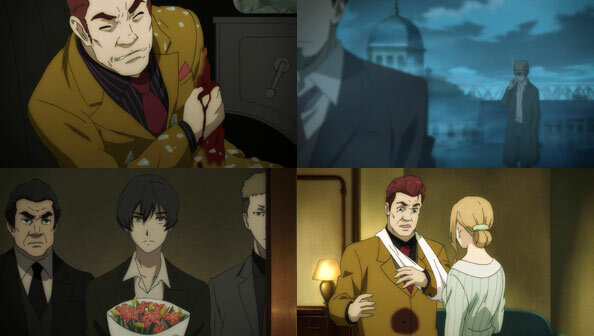 Kirito soon meets Eugeo, and learn that six years have passed since Alice was arrested and taken away by the Axiom Church for her transgression. 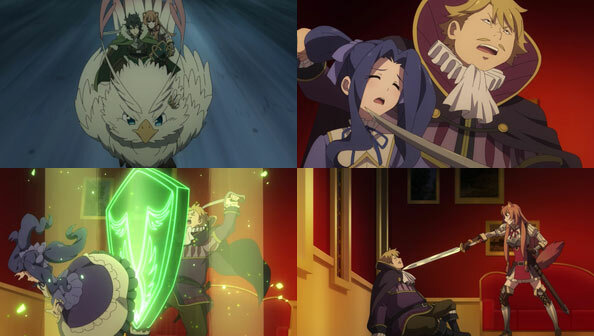 Since then Eugeo has kept hacking at the Gigas Cedar. 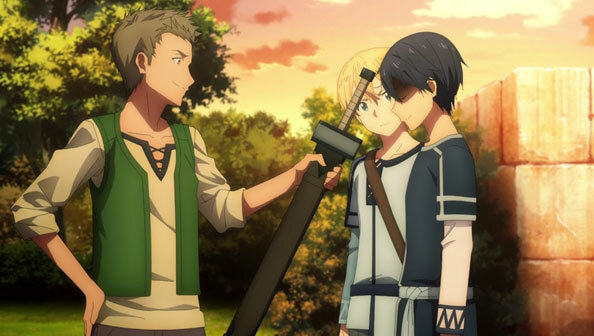 Clearly Kirito doesn’t remember being friends with Eugeo, but he gets vague, nostalgic glimpses of Alice, and he and Eugeo hit it off in short order when he offers to do some of the axe work. 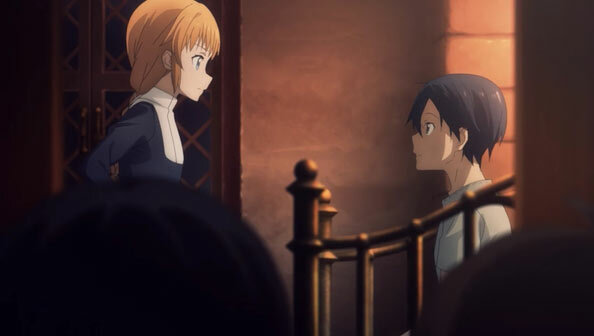 Eugeo explains the Stacia Window interface everyone has, along with the concept of callings, the extent of his in particular (over 300 years and seven generations), and the Taboo Index that keeps him from searching for Alice but also prevents theft. 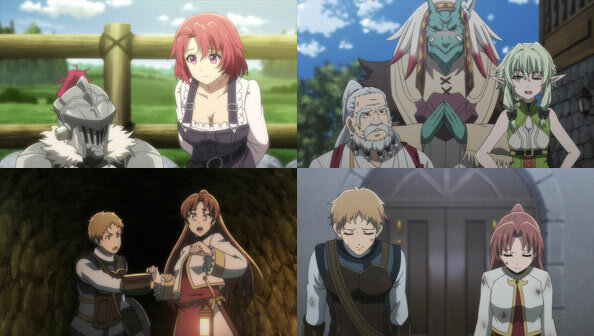 In the village, a kid named Zink who mocks Eugeo’s job as “useless” is put in his place when Kirito “thinks he remembers” his calling was that of a swordsman. 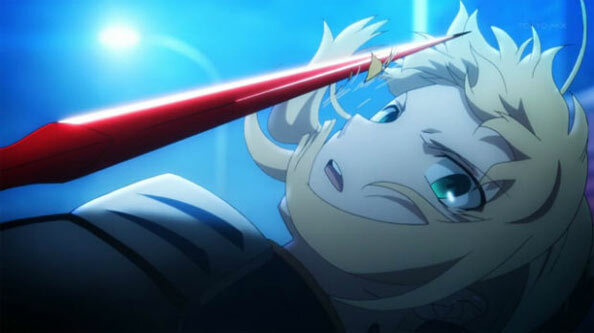 To Kirito’s surprise, going through his usual SAO/ALO/GGO motions results in unleashing a powerful sword skill. With at least 300 years having passed in this world (and possibly many more than that), Kirito worries what the ramifications would be of living for months, years, or decades in the Underworld while in the real world mere hours or days are passing. 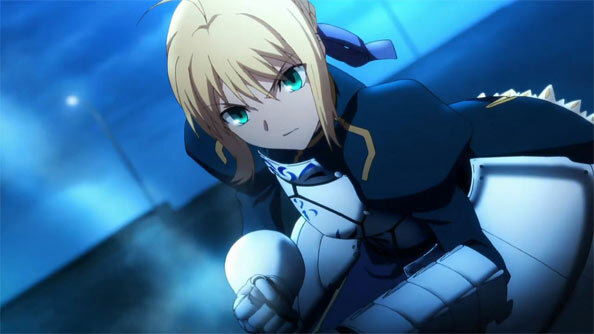 His ultimate goal is to contact Kikuoka, which he believes might be achievable in a larger city like the Central City Eugeo mentions as the place where Alice could still be alive. Before heading there (where a powerful-looking woman lounges atop an ornate tower), he resolves to learn more about this world (you clearly do not want to break any laws here) and properly preparing for such a journey. This week Sorey & Co. finally make it to Pendrago, but not before Sorey meets with Emperor Doran of Rolance, who is sympathetic to Sorey’s cause because he’s been informed of the existence of malevolence, just as have all of his predecessors, by storytellers like Mayvin. Sorey even learns about Velvet Crowe, some of whose exploits we saw in the first season. While chatting with the emperor, who has decided to accompany Sorey to the capital should there be any problems with access, Rose is wondering what to do next. 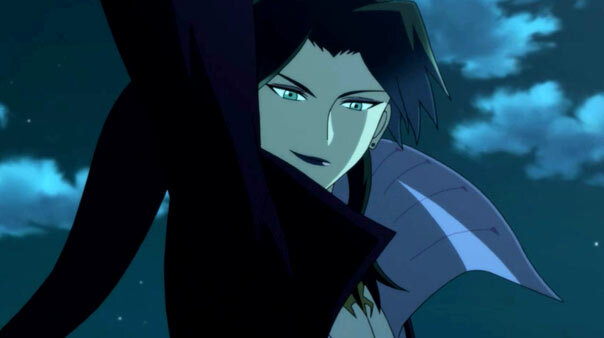 She’s done so much in the name of justice and righteousness, and yet she’s never seen the malevolence that is the true cause of the world’s ills, nor has she ever seen her “guardian angel” Dezel. She wants to rectify that. 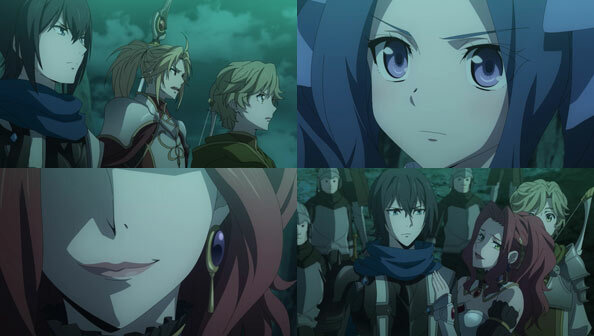 To do so, Dezel tells her she must become the shepherd’s squire, as Alisha has done. Lailah goes over the pros and cons while everyone is en route to Pendrago, and while Sorey seems reluctant to tie his life to Rose’s (if she fails and he dies, she dies too), Rose is pretty adamant, and there’s never any doubt she’ll be Sorey’s squire. 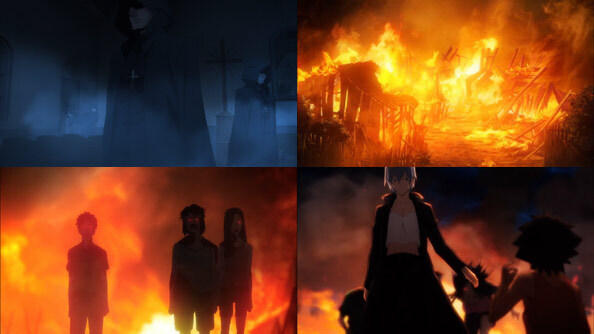 When she finally does, it’s pretty abrupt, and in the middle of the city’s main church where the malevolence is intense and focused around a dead dragon. 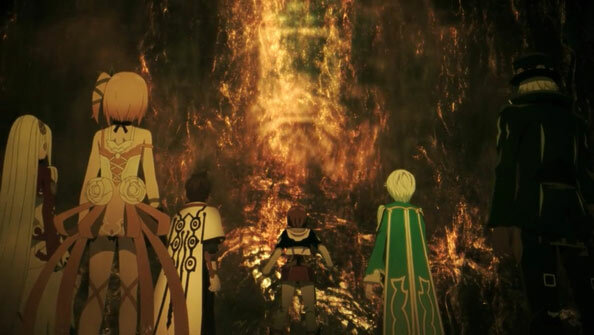 It’s a nice transition from what Rose sees before her transformation to after, when she can not only see the malevolence oozing from the dragon, but Dezel and all of Sorey’s seraphim pals. 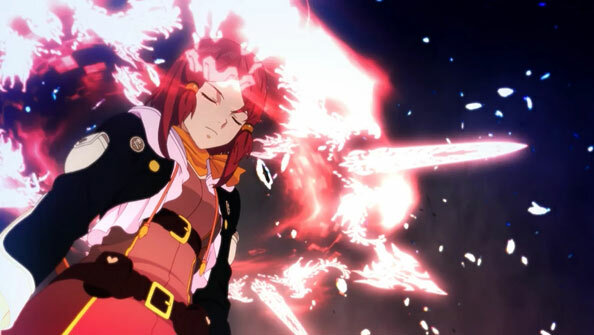 When trying to purify the dragon on his own fails, Sorey pairs up with Rose, who takes on some of the malevolence flowing into him, and after some spirited synchronized yelling, and some tactical support from the seraphim, the blue flames overcome the red, the dragon is purified. The rains cease, the clouds part, and the sun returns to Pendrago. Not too tricky a mission, when all’s said and done. 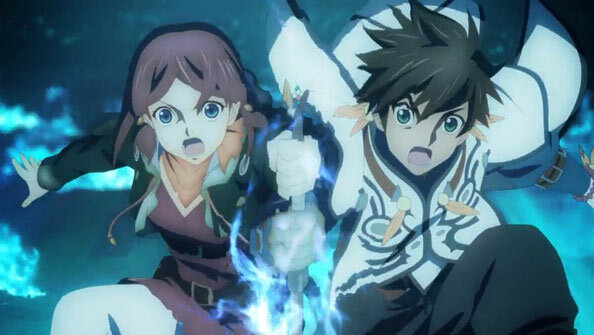 Of course, the next crisis is just around the corner in a tornado-filled Ladylake, as Alisha reports to Sorey using her squire-telepathy skills. Rose is ready for her next mission as his squire, so they seem poised to head out immediately, having proven beyond doubt to the doubters that the shepherd’s power is not only real, but vital. 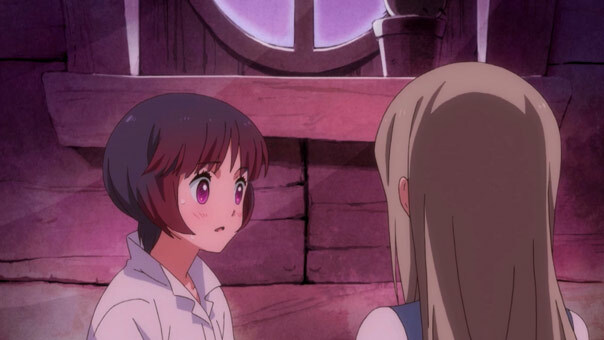 Ginko’s selfless act has earned her and Lulu Kureha’s permission to crash at her house, but that’s still a very long way from Kureha acknowledging her true love for Ginko. 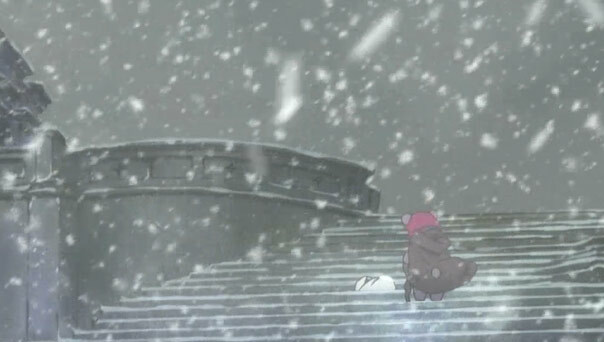 Progress is slow on this front, especially with Ginko suffering from a bad fever most of the episode. 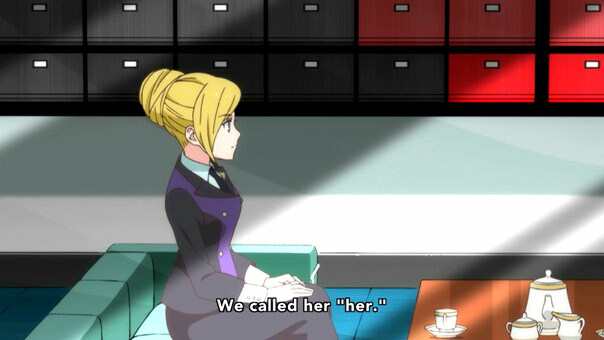 Meanwhile, Kaoru, who has done everything she’s done in hopes of being protected from becoming invisible, didn’t prevent Kureha and Ginko from coming together, and so she didn’t complete the intended “breaking” of Kureha. For that, she is deemed no longer of any use and disposed of by the mastermind. Since we catch a glimpse of the drawers in her office when she attacks Kaoru in bear form, it’s pretty clear at this point Yuriika is that mastermind. Kureha spends a lot of time staring at the feverish Ginko, contemplating why Ginko would protect Sumiko’s letter, and why Ginko says she loves her when they’ve practically just met. 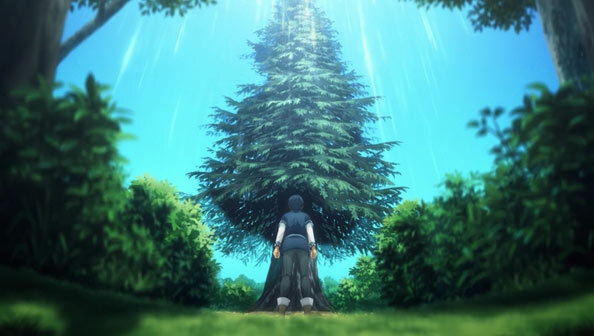 Kureha daydreams about her and Ginko getting a lot closer, but they only serve to frustrate her more: if there was such a person she loved so dearly, how or why did she forget? That’s something I’d like to know too. Kureha’s been through a lot of traumatic stuff, but what could possibly create such a huge gap in her memory? 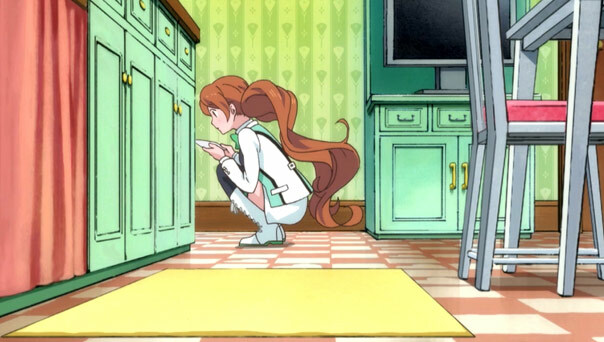 Kureha goes to Yuriika seeking info on the “forest girl”, and unlike Kaoru (who’s in one of those drawers…yikes! 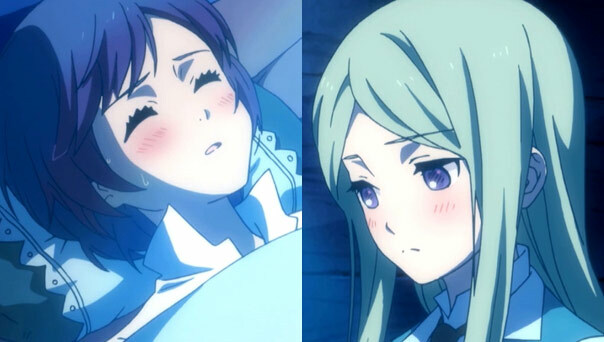 ), Yuriika continues to don the mask of someone Kureha can trust and confide in, while continuing to manipulate her. 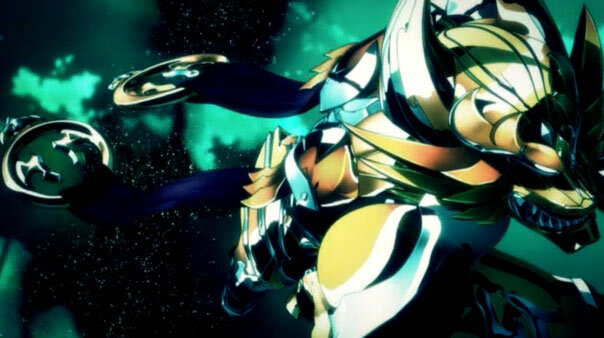 She says whoever has her mother’s star pendant is the enemy, and Kureha vows to kill whoever it is. But that vow doesn’t seem any more confident than her daydream with Ginko. 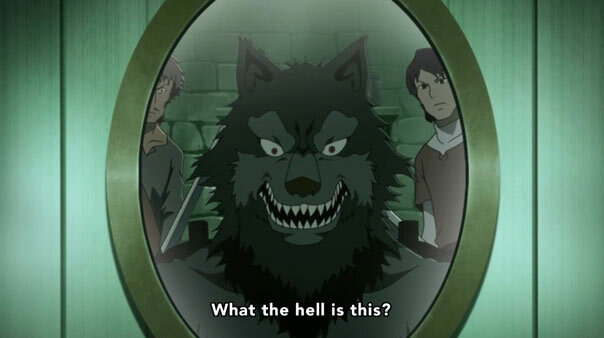 This week, as she lies in Kureha’s attic with a fever that won’t break, we get her backstory; how she was an orphan left on the steps of a church, and raised along with dozens of other bears (most of whom derided her as “Lone Wolfsbane” by that church to believe that “only One needs you and gives you approval”: Lady Kumalia. 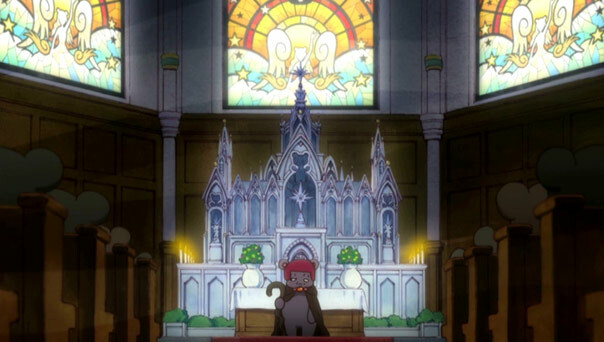 This church made holy warriors of its orphans, who fought human girls on those snow-covered battlefields, and all the while, Ginko was fighting for the approval of Lady Kumalia. When she fell in battle, she was abandoned by her surviving peers, because they’re bears, and nature is inherently harsh. 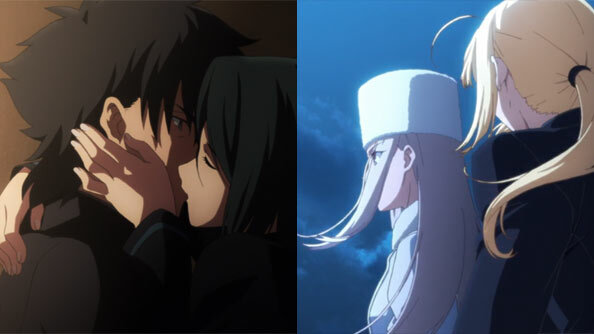 Ginko was resigned to that death until a young Kureha showed up and offered her hand, her love, her approval. Chewed up and spit out by the system that raised her, Ginko held true to the basic ideas instilled in her when those ideas aligned with the events in her life. 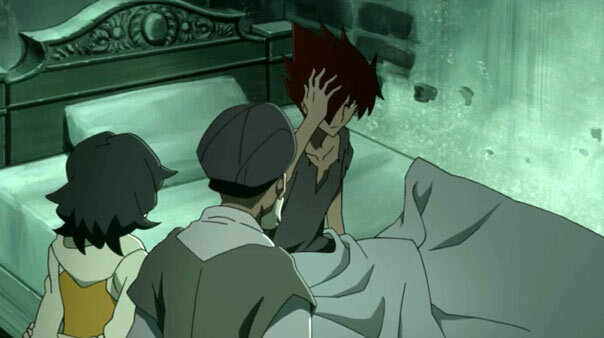 From that day onward, as far as Ginko was concerned, Kureha was, and is, Lady Kumalia, her savior. When her fever finally breaks in the present, and Kureha is once again watching over her, that’s what she calls her. 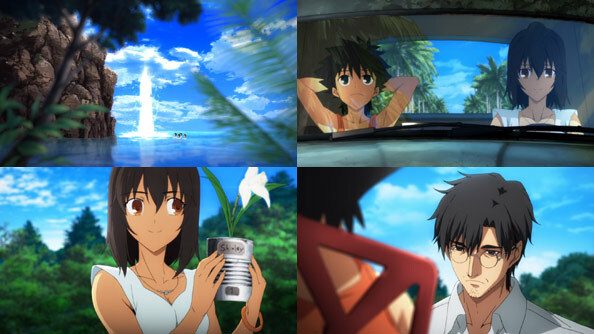 This surprises Kureha, as only someone familiar with her mother’s story would know such details. 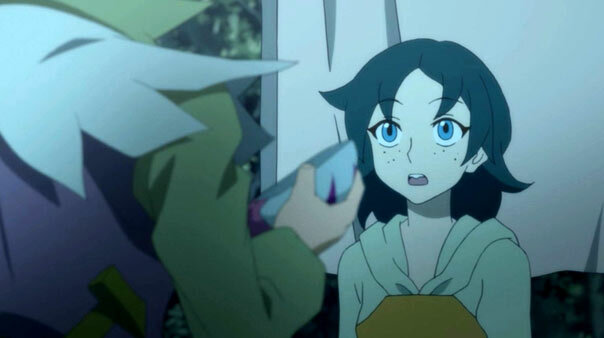 The deal is all but sealed when Kureha finds Lulu making the same honey ginger milk, which is “the flavor of Ginko’s love”; the very same flavor as Kureha and her mysterious friend’s love back in the day, and then Kureha finds Ginko singing her mother’s love song on the porch in a hauntingly beautiful scene. The switch is finally flipped; Ginko was, and is, that girl Kureha loved. But not so fast! Ginko still bears the sin of having witnessed Sumika’s death and done nothing, and Yuriika is still very much invested in continuing to screw around with Kureha’s life. To that end, she is most likely the one who slips a letter through the back door that Lulu receives and reads, finally learning of Ginko’s sin. Lulu, who has been devoted to helping bring Ginko and Kureha together, now holds in her hands the bomb that could blow all of that up. It’s a secret I see Lulu keeping out of loyalty to Ginko, but one way or another Kureha will learn that truth. 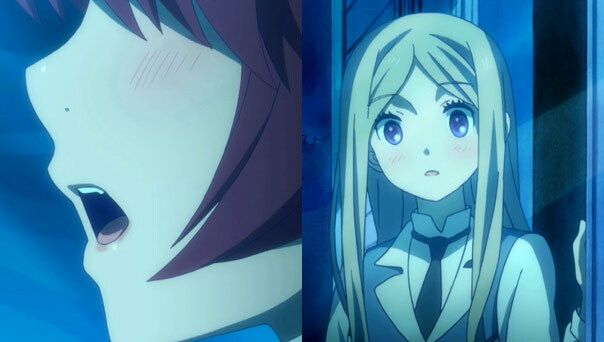 Yuriika’s actions suggest wants Kureha for herself, as she had Reia before. She’s already dealt with Sumika; now Ginko is in her crosshairs, and she’s not above trying to turn both Lulu and Kureha against her.